Obituary for Charles J. Brezo | Matthew X Merlin Funeral Home, Inc.
Charles J. “Bud” Brezo, 86, of New Derry, died on Friday, May 4, 2018, at Excela Heath Latrobe Hospital. He was born January 17, 1932 in New Derry, the son of late Frank and Jennie (Ferrari) Brezo. Prior to retirement Bud worked at Mark Lines as a bus driver. He served in the US Army. Bud was a member of St. Martin Roman Catholic Church, New Derry. He was a 25 year survivor of a heart transplant. Besides his parents Bud is preceded in death by his wife Ruth A. (Bigam) Brezo in 2016; one son Matthew Brezo, and three brothers Francis (infant), John and Robert Brezo. Bud is survived by his son Mark Brezo of New Derry; two daughters Jody Brezo of New Derry and Janis Loughner and husband LJ of Loyalhanna; four grandchildren Sam and Shelby Brezo and Sydney and Seth Loughner, and many nieces, nephews and friends. Family will receive friends for Bud’s Life Celebration 2-4 and 6-8 PM Tuesday May 8, 2018 in the Matthew X. Merlin Funeral Home Inc. 529 N. Chestnut St. Derry, PA 724-694-8331. A Mass of Christian Burial will be held 10AM Wednesday May 9, 2018 at St. Martin Roman Catholic Church with to Rev. 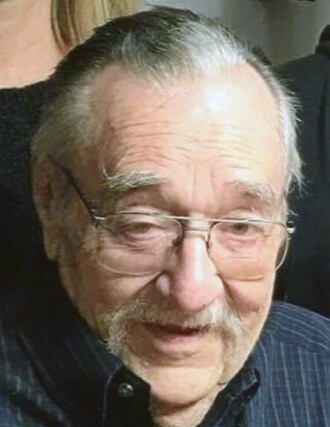 Salvatore R. Lamendola as Celebrant. Interment will follow in the St. Martin Cemetery, New Derry In lieu of flowers memorial contributions may be made to the family 529 N. Chestnut St. Derry PA 15627. Online condolences may be made to www.merlinfuneralhome.com.